All breakfasts. Five lunches. Seven dinners. Dinner on own on Day 1. The excitement starts as your aircraft compass needle swings due south, and your terrestrial latitude indicator tumbles 10 degrees for every hour in the air. 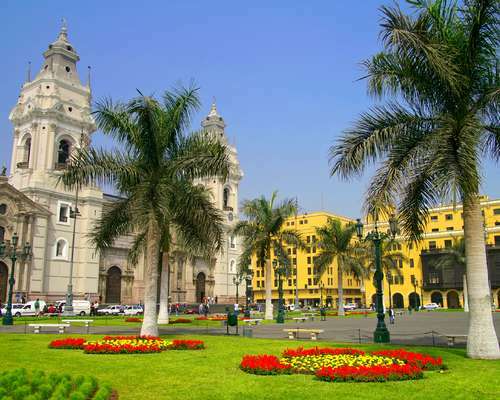 You're heading down across the Equator to the "Land of the Incas" and the capital city of Peru, Lima. 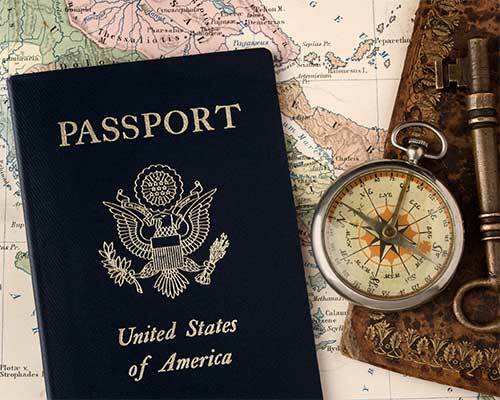 We are now required to obtain all travelers' country of origin and passport number, with date of issue and date of expiration, before any airline or hotel reservations can be made in Peru. A sightseeing tour takes you into the city's historical center, Plaza Mayor, which is surrounded by the Cathedral, the Archbishop's Palace and government palaces. You will also see Plaza de Armas and the Torre Tagle Palace, a Baroque residence dating back to 1715. Then, drive through modern districts such as the financial quarter of San Isidro, Huaca Huallamarca with its pre-Columbian pyramid nestled among condominiums, and the upscale Miraflores seafront, known for its beaches, and gardens such as the Parque del Amor. A half-day local guide, well-educated and specially-trained on the history and culture of Lima, will accompany you today. Visit the Larco Herrera Museum, a former hacienda mansion which now houses the best collection of pre-Columbian art in Peru, with an outstanding silver and gold section. There are also fine examples of textile work on display (one of which has a world-record 398 threads per inch! ), as well as tools that ancient Peruvians used to produce metalware, ceramics and huaco pots. Board a flight to the 11,444-foot-high city of Cuzco, which was once the capital of the Inca Empire. The oldest continuously populated city on the South American continent is now the Historical Capital of Peru. A city tour introduces landmarks such as Plaza del Regocijo, Plaza de Armas, the Santo Domingo Monastery, the Old Town with its very narrow streets, and the Cathedral, which is one of the most beautiful in the Western Hemisphere with its mixture of Spanish Renaissance architecture and native stone masonry. A half-day local guide, well-educated and specially-trained on the history and culture of Cuzco, will accompany you today. Your city tour takes you to the outskirts of the city to visit the ruins of the red fortress of Puca Pucara, the "cave house" of Tambomachay, the ceremonial site of Qenko, and the impressive fortified complex of Sacsayhuaman ("Satisfied Falcon"), which overlooks Cuzco. 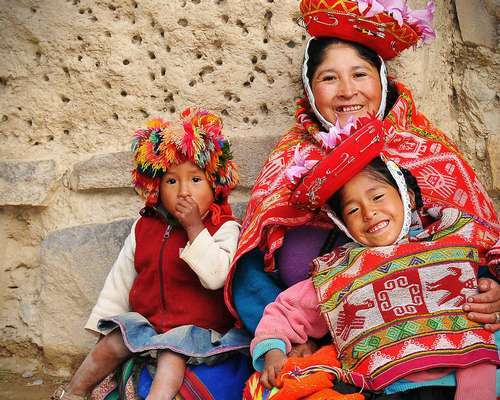 Today, explore the "Sacred Valley of the Incas." Visit the atmospheric and vast ruins of the Inca citadel built on a hill above the valley. A full-day local guide, well-educated and specially-trained on the history and culture of Cuzco, will accompany you today. Discover the Ollantaytambo archaeological site, a huge complex constructed of rose-colored granite. This was the former royal estate of Emperor Pachacuti, conqueror of this region. This is the day that all travelers to Peru look forward to! Sit back and enjoy one of the world's most spectacular train rides, which will take you in the early morning from Cuzco's high arid plateau to lush jungle vegetation. You're on your way to Aguas Calientes, a small town also called Machupicchu Pueblo since it's the gateway to the famous ruins. Board a bus for the twenty-minute ride up the mountain to the site of the ruins. Visit the awe-inspiring citadel of Machu Picchu, a pre-Columbian site built at an altitude of nearly 8,000 feet in a mountainous rainforest so remote it remained unknown to the Spanish Conquistadors. It was discovered in 1911 by the American archaeologist Hiram Bingham, author of a bestseller, The Lost City of the Incas, which has inspired generations of archaeologists ever since. 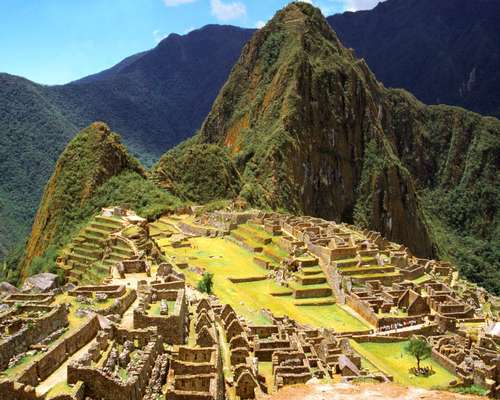 Now it's your turn to feel the magic and the power of this place, masterfully constructed for Inca emperors. Get transported back in time as you climb in their footsteps to spell-binding sites such as Intipunku (Sun Gate), and the Sacred Rock. Sit down in splendid scenery for a buffet lunch with a choice of international and Peruvian dishes. Enjoy some free time in Cuzco today. Check out the Regional Historical Museum, housed in the colonial mansion of the author Garcilaso de la Vega, the son of a Spanish conquistador and an Inca noblewoman. He wrote extensively about Inca history and culture, and the museum now housed on his property has the same focus. It also displays works by Cuzco painters of the 20th century. A half-day local guide will accompany your group during your excursion. At the village of Tipón, you will visit the ruins of complex hydraulic networks constructed by the Incas for their terraced fields. Stop in Pikillaqta to explore large pre-Inca ruins. Travel to the small town of Andahuaylillas, located 25 miles east of Cuzco, at an altitude of 10,170 feet. On your visit to this Baroque sanctuary, you will discover a wealth of frescoes, paintings and gilding which adorn walls, altar and ceiling in an ensemble so stunning that the church has been called the Sistine Chapel of the Andes. This visit will lead you to the remains of the largest temple complex ever constructed by the Incas, which included a temple 80 feet wide, 60 feet high and 300 feet long (length of a U.S. football field). Travel to a city that was founded in 1668 on the Peruvian shores of Lake Titicaca. Today, enjoy a full-day motorboat excursion on the world's highest navigable lake. 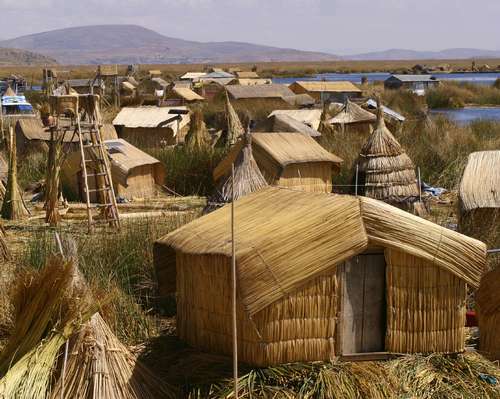 Travel to the floating totora islands of the Uros Indians, who make their homes by piling up cut tortora reeds. You may walk about on these spongy platforms, feeling how the packed reeds give in under your steps. Shop for hand-sewn tapestries and textiles, all handmade by native artisans. Continue to the tranquil island of Taquile, which is home to some 1,500 Quechua-speaking Indians. Learn about the traditions and customs of their communal way of life, which has changed little over the past 500 years. Admire intricate weavings that are painstakingly crafted on the island, take some time to explore nearby ancient stone pathways. 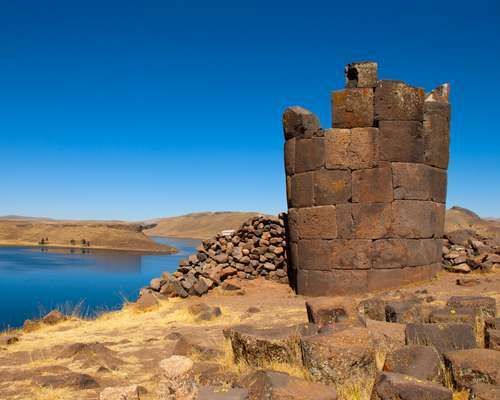 Visit the stunning pre-Incan burial site of Sillustani, which overlooks Lake Umayo, a gem of a lake that, according to modern lore, lies close to alien landing strips. See tower-like family graves called chullpas, which are all facing east, the place where the ancient peoples of Peru believed the Sun God was reborn each morning from Mother Earth. Enjoy a short domestic flight to Lima. Board the plane which will take you back to the U.S. Most good things must come to an end. Your suitcase full of memorabilia and of photos ready to be processed, you're eager to share your discoveries with family and friends.